The Color Control GX is the communication centre of all Victron installations. It offers at-a-glance live information and lets to control devices connected to it from almost anywhere in the world. By single touch, Color Control GX provides an overview of your system - battery state of charge; present power consumption, power harvest from PV NS power provision from mains and generator. 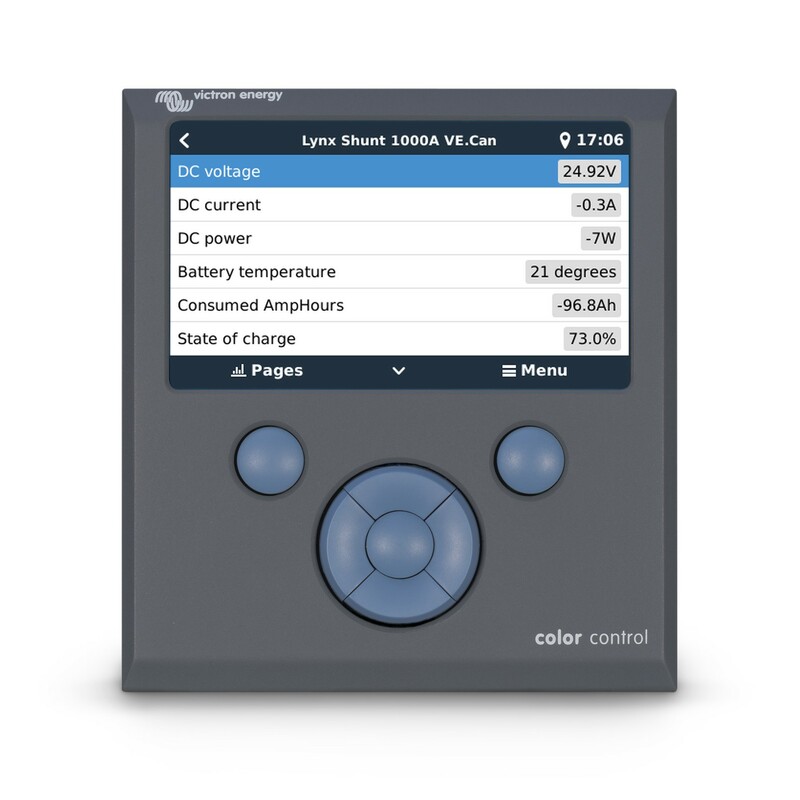 The Color Control GX can be programmed to auto-start your generator triggered by low-voltage, high-demand, or battery state of charge. It can also be set be to delay ignition until the end of night.